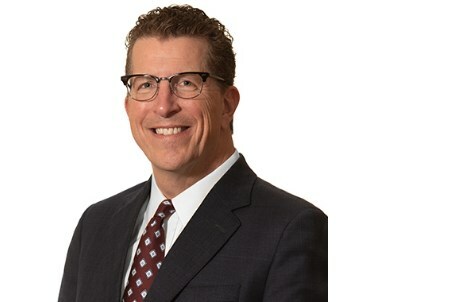 Baker Botts L.L.P., a leading international law firm, announced yesterday that John W. Martin has been elected as the firm’s 15th Managing Partner. Mr. Martin’s four-year term will commence on 1 April 2019. “John is a bold and dynamic leader, and the perfect choice to lead our 179 year old firm in these changing times. I know that with John’s selection the future of the firm is in great hands,” said Andrew M. Baker, the current Managing Partner of Baker Botts. “Baker Botts is known for providing world class, professionally excellent client service in our key industry segments of technology and energy, and is ideally situated to continue growing our target markets on both the East and West coasts, in London and in Texas,” said John Martin, Managing Partner-Elect. “I want to take this opportunity to thank my partners for the trust they have placed in me. Being elected as our firm’s next Managing Partner is a great honour,” added Mr. Martin. Mr. Martin is currently the Partner-in-Charge of the firm’s Palo Alto office, the firmwide Partner-in-Charge of Recruiting and a member of the firm’s Executive Committee. He has over 30 years of experience with Baker Botts representing clients in mergers and acquisitions, corporate governance, capital markets and complex technology transactions. Mr. Martin succeeds Andrew M. Baker, who served two terms as Managing Partner, was first elected in 2012 and who after 40 years at Baker Botts is subject to mandatory retirement at the end of 2019. “A special thanks to my friend and colleague, Andy Baker, for his enduring contributions over the past seven years. During Andy’s tenure, we enhanced a world class platform that continues to set the bar for professional excellence and extraordinary client service, increased top line revenue and profitability, and expanded in key geographic markets while strengthening our industry leading position in Texas,” said Mr. Martin. “In these days of dynamic change in the legal industry, innovation has been critical. Working as Managing Partner to lead our reevaluation of and reinvestment in every part of our industry-leading platform has been a tremendous honour,” said Mr. Baker.